Which airports in Africa have the best security, check-ins and restaurants to make your travel totally stress free and chill? Former South African President Jacob Zuma will be prosecuted on corruption charges, the country's chief prosecutor announced Friday in a press conference in Pretoria. Sierra Leone will vote in a presidential run-off election March 27, after neither of the candidates in the first round achieved the 55% of the ballot required to take office. The ancient philosophy of “Ubuntu” is encouraging African tech communities to collaborate and innovate. Sandro Vannini has photographed the Valley of Kings for over two decades. Will Egypt’s Sisi tighten his grip? A 50-foot campaign poster of Egyptian President Abdel Fattah el-Sisi stares down over Cairo's Tahrir Square, where hundreds of thousands of Egyptians demanded bread, freedom and social justice during the 2011 Arab Spring uprising. Across from the square, a huge screen shows a video montage of the President and his supporters. Parents of lone Dapchi schoolgirl in Boko Haram captivity urge Nigerian government to push for their daughter's release. 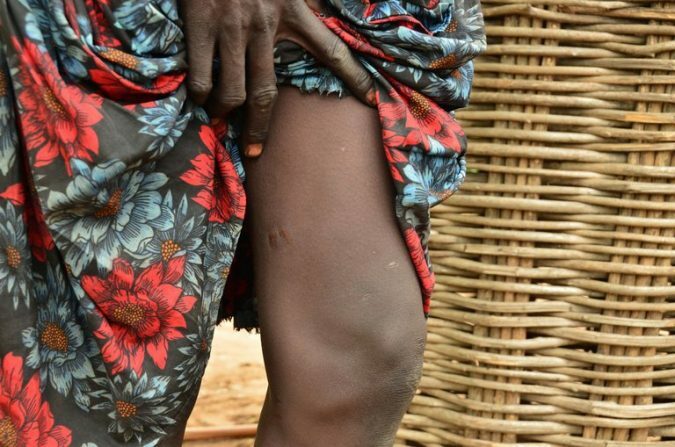 South Sudan Halts Spread of Crippling Guinea Worms Photo A woman with scars on her leg left by two Guinea worms in Terekeka, South Sudan. Only 30 infestations were recorded worldwide last year, an enormous achievement since 1986, when there were an estimated 3.5 million cases in 21 Asian and African countries. Credit Mariah Quesada/Associated Press South Sudan, the world’s youngest nation, appears to have stopped Guinea worm disease within its borders, the country’s health minister announced Wednesday. Dr. Kok made the announcement in Atlanta at the Carter Center, a philanthropy founded by former President Jimmy Carter that leads the effort to eliminate the parasitic worm. Only 30 worm infestations were detected last year, 15 in Chad and 15 in Ethiopia. When Mr. Carter began the eradication drive in 1986, t.. Leaders of China and the African Union have denied a published report that Beijing spied for years on the African Union headquarters through computer systems it helped install. 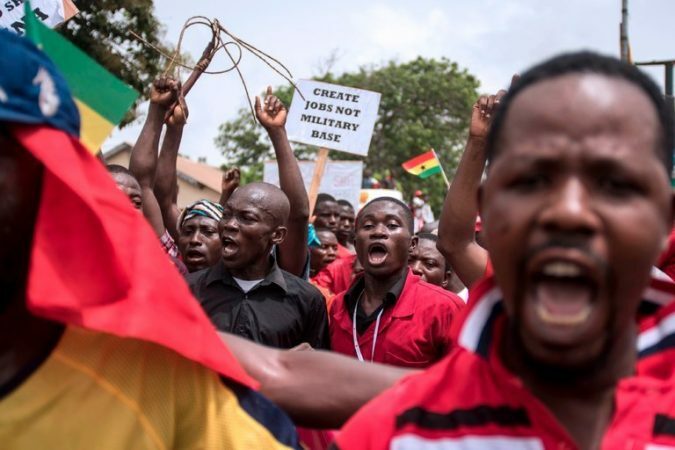 Deal With U.S. Military Sets Off Protests in Ghana Photo Protesters in Accra, Ghana, demonstrated Wednesday against a military agreement with the United States. Credit Cristina Aldehuela/Agence France-Presse — Getty Images DAKAR, Senegal — Thousands of Ghanaians rallied in the streets of their capital on Wednesday to protest a deal that would give the United States military an expanded role in Ghana. “It’s the same arrangement we’ve had in times past,” said Kojo Oppong Nkrumah, the deputy minister of information. He said that resi..